Few rooms in a house run the nomenclature gamut quite like that area just after your front door. All would agree it’s a bit of a cramped space. 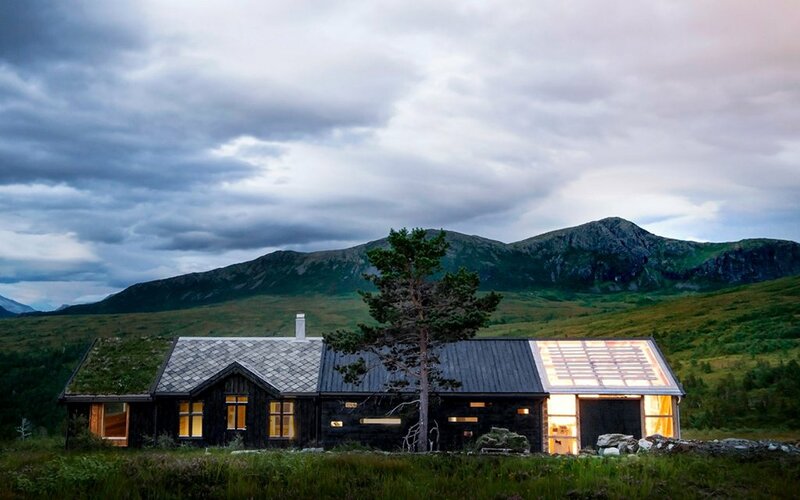 Except at Troll’s Peak Cabin, a mountain retreat deep in Norway’s Suundal mountain region where Rever & Drage Architects have designed a row farmhouse with a series of entry rooms meant for serious outdoor/indoor living. What does that mean? Well, as the home is intended for families heavy on hiking and skiing, the exposed timber “garage” serves as the first defense against the outdoors: a bright, catch-all space that’s hard on clutter and easy on the eyes. Once you’ve stripped away your wet jackets and stored all your equipment, there’s a welcoming gauntlet of laundry room, bathroom and kitchen before settling into a warm rest area. 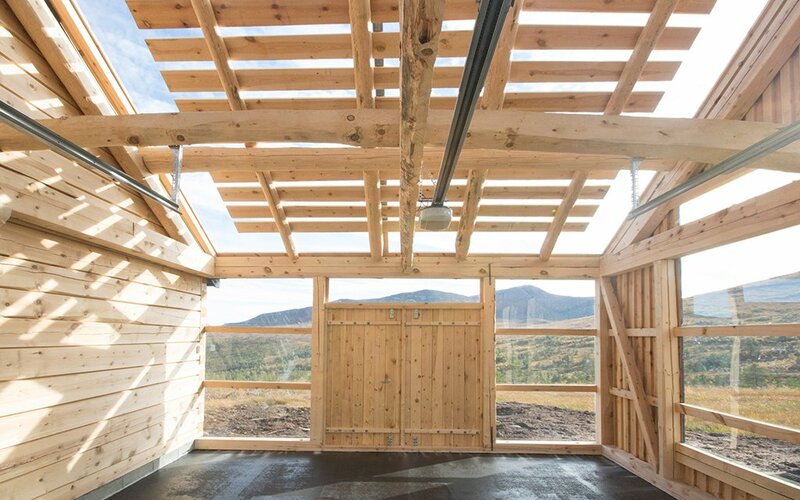 It’s pretty much the car-wash model applied to an adventure cabin. The “rest area” consists of a living room with 19th-century notched logs and a massive dormitory with a window large enough to admire nearby mountains and the Northern Lights. 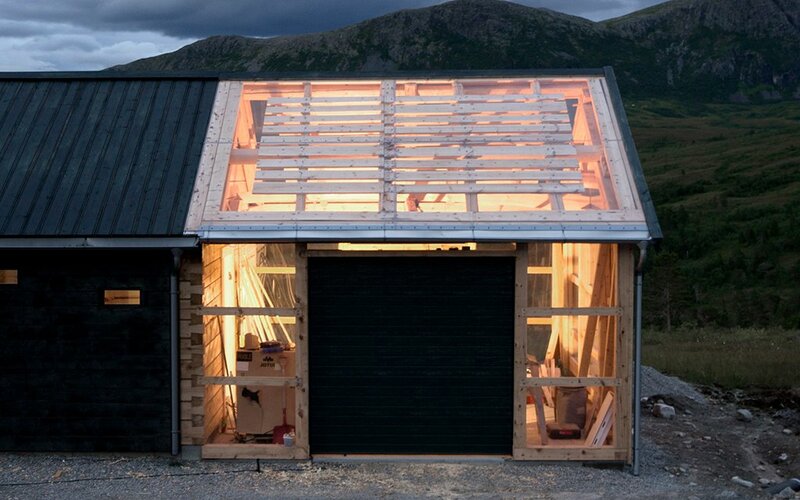 And while you’re nice and warm, the exterior’s mix of tar-oiled timber boards and alternating roof materials will fight off wind (and just generally look handsome) with aplomb.